The Karnataka Secondary Education and Examination Board, Bangalore, Shortly Annouce Secondary School Leaving Certificate (SSLC) Exams Results 2016 at www.karresults.nic.in. Total Karnataka SSLC 2016 Results many as 8.49 lakh students 4,08,257 boys (continuous and comprehensive evaluation) and 3,84,450 girls are appearing for the exams across 3,082 centres. There are 16,275 private boy students and 3,950 girl students. 13,993 schools have registered for SSLC exams. 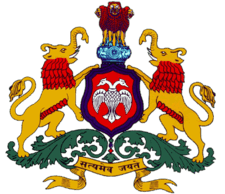 Karnataka State Secondary Education and Examination Board, Secondary School Leaving Certificate (SSLC) examination centres and there will be a draw of lots to allot classrooms for the invigilators. Also, about 8.49 lakh students writing the exam, starting from Wednesday, in 3,082 exam centres across the State, will be frisked before writing the exam.